Simplifying cross border e-commerce into Europe. Your direct B2C global logistics solution — real-time calculation of duties, taxes and shipping cost— so you can accelerate your growth in a compliant way. with our real-time duty calculator and global logistics solution. GO EU Commerce is your direct B2C global logistics solution with its own e-commerce platform built and designed especially for non-European web shops to manage their European e-commerce shipments. Our fully compliant duty calculator will calculate all European duties and taxes– GO EU shipping cost in real-time, directly connected to European customs and tax authorities. So, your European customers don’t face the surprises of a unexpected second payment at the door. 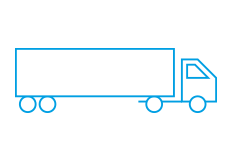 Our dashboard provides a summary of all your parcels: in transit, customs clearance in progress, cleared, delivered, signature, duty amounts, VAT amounts and customs invoices. Even your customs deposit and outstanding invoices can be checked. Any shipment that has an exception is marked with the right status and will be shown in the daily reports. You can use our API to upload daily shipment data and send statuses regarding new shipments as well as retrieve specific information about shipments to be used in your own system. Next to that standard reports are available and are all easy to set up in the dashboard. Due to the variety of used systems around the globe, our Checkout calculator with integrated Duty calculator is not a standard plugin. During the implementation, we will check together what the best route is. 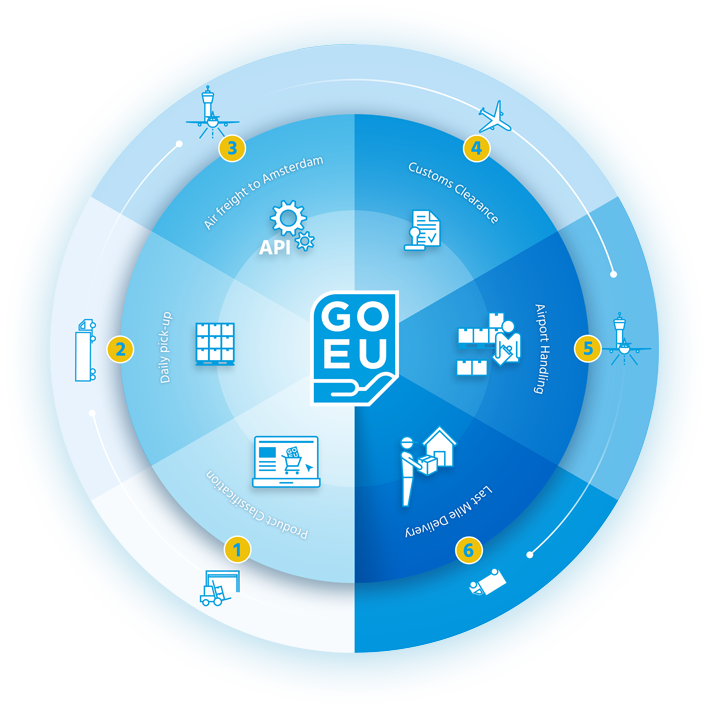 GO EU can connect to an existing duty calculator or we can develop one together based on the used systems and product information available. Shopify Plus is created for large scale business just like GO EU Commerce. Together with our strategic Plus partner we develop and improve your current .com web shop on Shopify Plus. 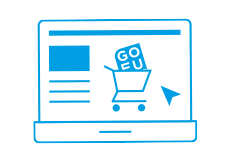 Via the GO EU Plugin for Shopify Plus web shops you are directly connected to the GO EU platform, dashboard and checkout calculator with integrated duty calculator. The GO EU Plugin is especially build for non-European Shopify Plus web shops who are already selling and shipping into Europe from their home country. Our integrated European duty calculator, directly connected to customs and tax authorities, is ready to increase your sales, revenue and margin into Europe. This way we will create a perfect ‘new’ start with a better conversion due to the all-inclusive checkout with real amounts. Not just VAT estimates. Together we will raise your existing Shopify Plus web shop to the next level in Europe? Our ‘entry’ package will optimize your localization and marketing for each European country with its own country specific needs. We optimize every country specific url extension (.fr .de .co.uk etc.) under 1 Shopify Plus account, all managed by 1 codebase. Together with our expert marketing partner we are able to run various country specific marketing campaigns per European country. We will assist you in setting up the country specific menus, product categories and imports. You are able to sell your products in the various European countries and specific languages. Together we will find the best strategy for your products, design country specific themes and guide you to the entire process to ensure the best reflection of your brand identity per European country. We are European so, we know what we are doing. Your EU customers will love us! EU customers will choose GO EU because we are fast and offer an all-inclusive solution. 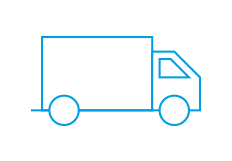 We offer the most cost effective store to door shipping solution to the EU. So, consider us your conversion optimization partner. GO EU saves your customers on average 39% on the total amount to be paid for your products. We know. We’ve got you covered. We offer total control over every step in the shipping process. 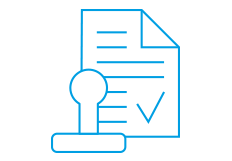 Before using the GO EU platform all your products have been checked during the implementation and approved by our customs service partner. All products are now classified with the right European HS-codes, additional clearance codes and final VAT percentages. They will be pre-programmed in the GO EU platform to avoid unexpected additional duties and taxes while clearing shipments. GO EU partners with the best trucking companies near your fulfilment center to make sure your daily pickup is always on time. 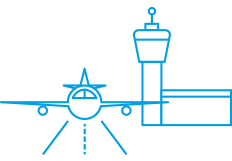 Partnering with local heroes near your fulfilment center will secure a timely connection for the next available flight into Amsterdam. Our airfreight partner (AEO certified and IATA licensed) can ship in bulk via any airline flying into Amsterdam. Our Airfreight partner communicates directly with your business and the trucking company to make sure everything goes according to plan. This way we can secure a timely delivery of your parcels onto the next flight to Amsterdam. Even before the flight has left for Amsterdam, all shipment data has been sent to the GO EU platform and is checked for possible missing data and the right amount of import duties and taxes. This way our customs service partner can do a pre-clearance using the latest e-commerce clearance technology in the GO EU platform. Once the flight has arrived in Amsterdam the airport handling will be done by our e-commerce expert handling partner near the GO EU head office. Our preferred handling partner is one of the top Dutch e-commerce experts and directly connected to Dutch customs when it comes to physical inspections and inbounding non-European e-commerce parcels. 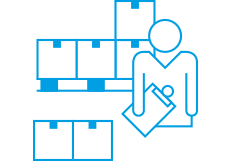 Before leaving the fulfilment center all parcels sent via GO EU are pre-labelled with the GO EU preferred last mile partner for final delivery. This airway bill-number will be used as a reference in the whole process. Fully visible and traceable from pickup up to the final signature as a proof of delivery. Our experienced partners in global airfreight, European customs and the European last mile are all industry specialists, AEO certified and connected to the GO EU platform. Interested in selling more products to the EU? Contact us today! We are more than happy to schedule a call to show what GO EU can do for your business.